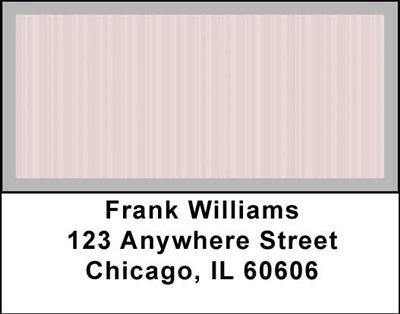 "Pinstripes Address Labels" product is already in your cart. For those who like a more conventional look but one that has a little pizzazz these Modern Suites Address Labels will be a good choice. In a quartet of colors that range from a pearl gray, pale blue, creamy beige and pastel pink each of these checks has a subtle vertical striping that adds a little contrast but still maintains a contemporary look. These have a professional look yet lots of style and will be pleasing to those who don’t like to make a big splash! The Modern Suites Address Labels have a lot of character yet don’t try to overwhelm you.